When I was young I fell in love with fairy tales and I always wished some of them were true. Not the original Grimm’s Fairy tales or Hans Andersen kind, but more Enid Blyton or Beatrice Potter-like. Then, I discovered Harry Potter and Artemis Fowl and with a bitter-sweet poignancy I wished all of it was true. Artemis Fowl is an odd boy. He is villainous but he believes in fairies (like me, but I am very nice). Then, he catches one under an oak tree and all hell breaks loose in the fairy tale. The fairies in Eoin Colfer’s eight book saga gain their super powers from not just magic but advanced technology. They live in underground cities after being chased away by human toxicity. Artemis starts off as the genius spoilt brat who picks on people weaker than him for his own amusement (read fairies) but during the course of eight books he slowly becomes a criminal with a reason for his crimes. A pint sized Robin Hood with a conscience. Unlike Harry Potter, Artemis has never been just a child hero in a fantasy novel. He has always teetered on the edge of being the anti-hero or the villain of the piece. All his dilemmas have been of his own making and the situations that he deals in are real world adult problems. Artemis Fowl II is a cross between William (Richmal Crompton), Richie Rich (Harvey Comics) and Peter Pan. crime and drama, my perfect ingredients for a good book. Also, the author managed to make each book more complex and gripping than the previous one. Unlike Rowling, who was telling one story in seven books, Colfer had seven villains (one made two appearances). So, you can actually start reading them in the middle of the series. The Fowl series are for all ages from 9 to 90 so, if you are strict about what your children read and are in the habit of reading the books they read, do pick these up. You will surely enjoy them. Just don’t bury an acorn in the moonlight yet! My first copy of Artemis Fowl was stolen on a train in India. I bought another copy at an old bookshop. It wasn’t the same but I couldn’t bear to lose it. My love-affair with old books never ceases! 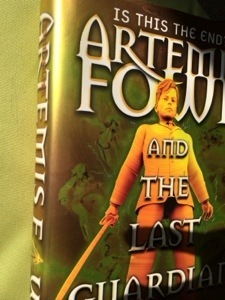 Find out more about Artemis Fowl and where to buy them. Which fantasy series or book do you like best? I had to start of my #atozchallenge with a bit of fairy dust. Stay tuned for more magic on The Book Drifter and adventures on the Drifting Traveller. 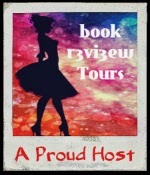 This entry was posted in Fantasy and tagged Artemis Fowl, Children's Fiction, Eoin Colfer, Fairy tales on April 1, 2014 by driftingtraveller. Don’t you hate it when you lose a favorite book? A new one is never the same! 😦 Good luck with the challenge! I’ve been meaning to read the Artemis Fowl books for the longest time, but never seem to get around to it. I really should 🙂 Apart from Harry Potter, I also liked His Dark Materials a lot. Vanna Smythe I love Philip Pullman and His Dark Materials was the first Philip Pullman series I read. It must have been my first nearly-adult fantasy series. Do read the Fowl books you won’t be disappointed. At least you won’t have to wait for the next book to be written because its a complete series now! Alas, for me I could not commit to reading His Dark Materials. Great, another fantasy series I have to read. Thank you 🙂 I really dug the Percy Jackson series and for a more adult fare the Dresden Files. Look forward to more of your recommendations/assessments! I find this book to always be in my library at school, and it sounds interesting, but I’ve never picked it up yet, ahah. Thanks to your post, I sure will! Hey Michelle, The Fowl books’ covers aren’t very appealing. I wouldn’t have picked up the rest if I wasn’t gifted the first as a teenager 🙂 You should read it. You enchant me with your passionate elocution on behalf of “Artemis Fowl”!! When the season arrives and I can dig into Fowl, I’ll have to return & let you know of my observations & impressions! 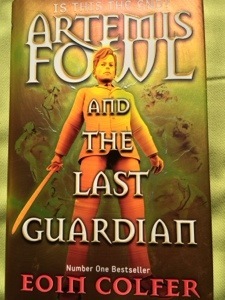 I will put Artemis Fowl back on my TBR due to your inspiring post about the merit of his story being known! And, for that, I THANK YOU! Loved your comment. I think it is as long as my post, can I use it to write ‘C’ for Favourite Comment? 😀 My next post is on Enid Blyton and although I did not do a ‘theme reveal’, I am evidently revealing myself by posting about fantasy books and authors. Since I was reading Harry Potter and Artemis Fowl while both the series were being written, I didn’t have too much trouble picking one over the other. I read one while waiting for the next book of the other! Also, I am not good at waiting for a book, especially when it is part of a series. But I know what you mean Harry Potter did put Artemis Fowl to shade. There aren’t many people in the Harry Potter generation who also know about Fowl. I am catching up with all the A to Z posts tonight. 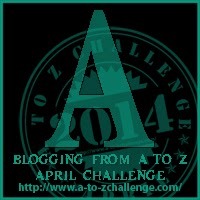 I’m part of the A to Z Challenge too! I know what you mean! When the last book was released I had to read all of them before reading it.